An auspicious Fu Gui Prosperity Flower to welcome the new home. 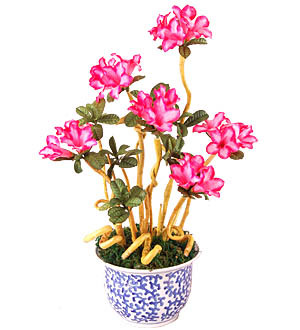 Made of Artificial Silk, the Fu Gui Flowers comes in a Qing Chinese Vase. Measures approx. 23 inches in height.